One year ago marked the kick off for FC St. Pauli Buffalo. We want to celebrate with all of you the only way we know how, by watching a match, and raising money for a good cause! 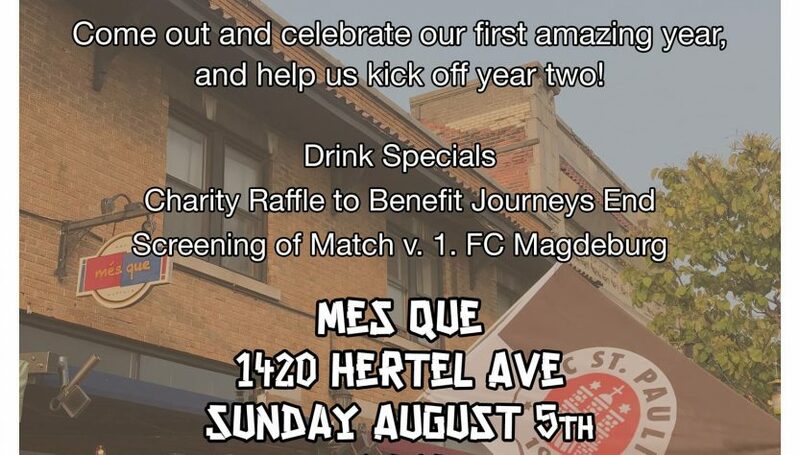 Join us as we get together to watch the boys in brown take on Magdeburg on August 5. There will be a raffle for charity benefitting out good friends at Journeys End! Stay tuned on our Facebook and Twitter @FCStPauliBuf for details on the prizes in the following few weeks, trust me, you’ll like them!